I’ve decided to call the weather – Spring is officially here in my mind! I know it doesn’t start until the end of the month – my birthday to be precise, whoopee! – but the days are becoming lighter for longer, there’s brighter mornings, flowers appearing, and all the Spring shades are starting to come and play. Speaking of new Spring shades, it’s also the time of year when beauty brand start to release new seasonal launches and Sleek’s 4 new products are totally on spot on. 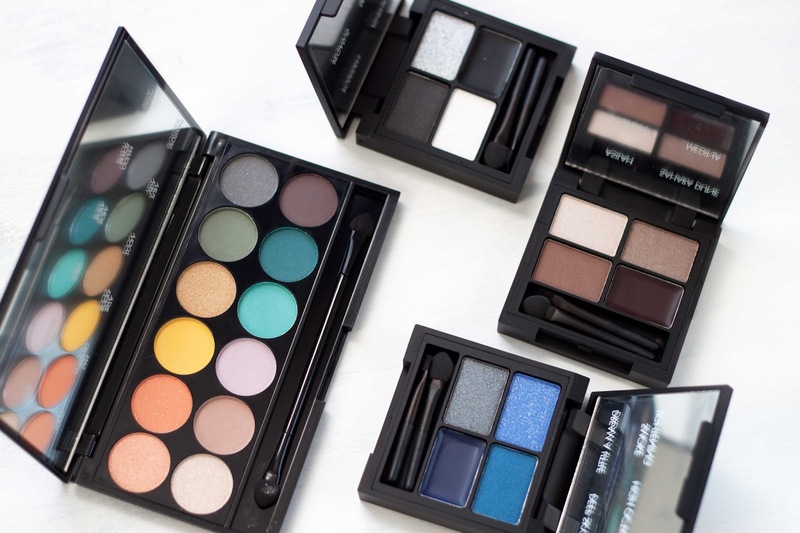 From quads to get your peepers looking fresh on the go, to a new palette packed with shades that will definitely inject some colour to your life, you’re going to want to snap these up quick! 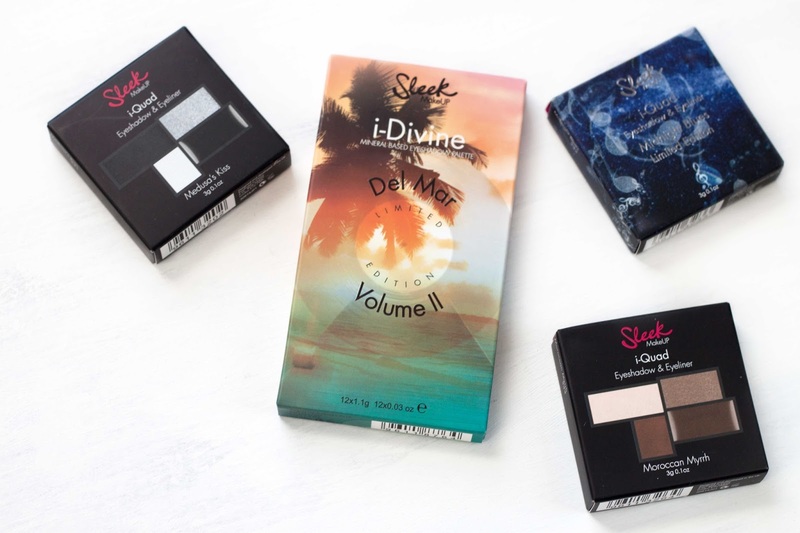 The most eye-catching launch for me is the Del Mar Vol II Eyeshadow Palette* which houses some gorgeous bold shades perfect for the SS15 trends this year, and to also roll into the new AW15 colours seen a few weeks ago at Fashion Week. 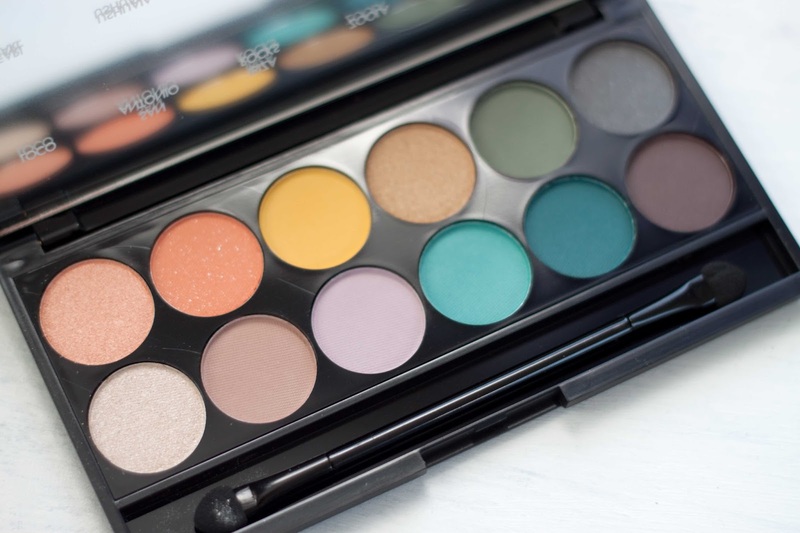 The teal and blue shade just look so glorious and would be lovely against brown eyes or as part of a subtle smokey eye with a pop of something, and the orange/coral shades would be great as a wash against lighter eyes in the Summer. From playing around with the colours, most of them are matte with only two near-shimmery shades – the gold on the top row and pearl shade on the bottom – so is definitely a palette for statement colour, but all of these would look great with a swish of gold or silver shimmer for a more 3D effect. What I really dig about this palette though is there’s no real dark shade, even the grey and brown at the end are enough to built up pigmentation for just enough darkness and depth without feeling too much – it makes it much more wearable for the day and easy to translate for a soft evening look too which is a popular make-up trend this year. You really get some great quality shades for your money with Sleek, and every palette I’ve tried has been fantastic. If you’re looking for some new shades for a bargain price, definitely pick up Del Mar for a slice of Ibiza in the UK – and at a bargain price too. The next launch is perfect for the gal on-the-go – if you love your smokey eyes and liner then this is for you. The Sleek i-Quads* are the perfect palette to carry around in your bag to touch up your liner or transform a look from day to night without loads of tools or products. In each quad there are three shades that cover your crease, lid and shimmer and one gel liner, and the added mirror makes everything a dream to apply too. 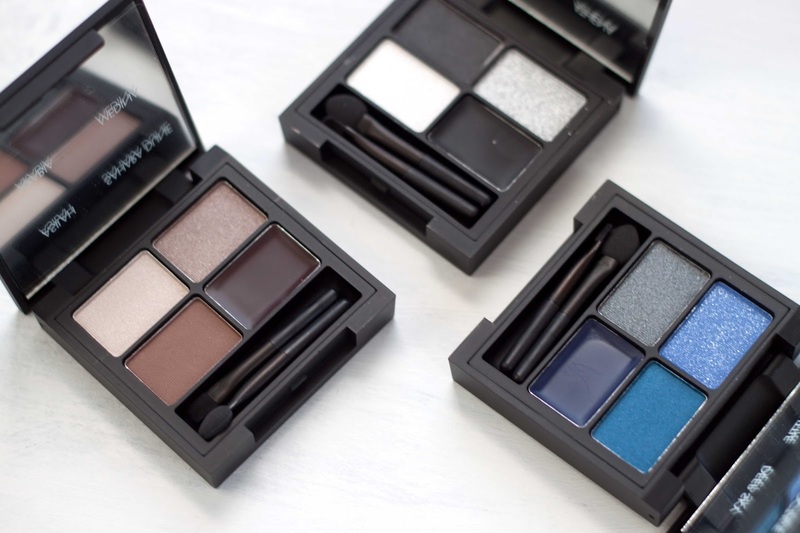 Personally I find black too heavy on my eyes, but the silver (Athena) is great for parties as it has such good payoff, and the blue liner is fabulous alternative to brown or black to try a bold wing that looks like it’s straight off the catwalk plus it pairs perfectly with the gunmetal shadow (Smoke Lightening). For your everyday look though, it has to be the Moroccan Myrrh* which is a lovely range of browns to give you something special on the eyes without being too much and still look quite natural. As for the liners themselves, I find them to be a mix between a wax and gel so there can be some movement if you don’t let them dry fully, but personally I find the formula a bit streaky if you need to keep re-doing the line in comparison to the Maybelline Gel Liner, so you do need to go in strong with the product or lightly layer it so it doesn’t smudge too much. For a subtle line of definition then a light hand and soft stroke across the lash line will be enough to add a pop. All the products launch on the 25th March at Superdrug and Boots, with Del Mar Vol II priced at £7.99 and the i-Quads at £5.99, and I can see Del Mar flying off shelves so make sure you snap it up quick! 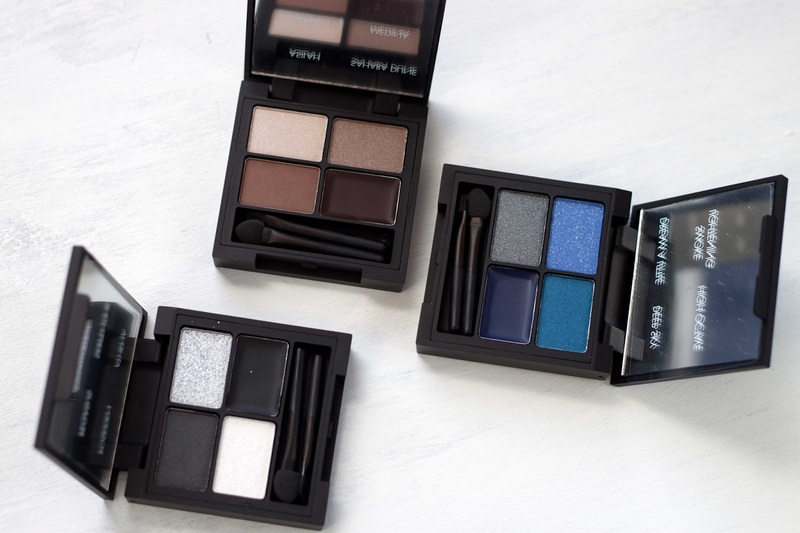 Sleek always win me over for great pigmented eyeshadows, so I’ll be bringing the Spanish sunshine to my make-up drawers and everyday routine with these beauties for Spring – welcome back sunshine, we’ve missed you! 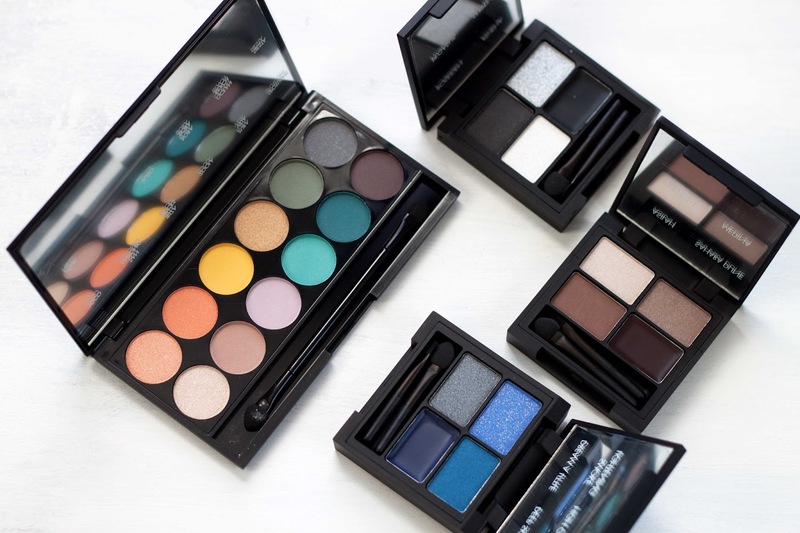 Are you a fan of Sleek palettes? Do you like bold colours in the Spring/Summer months? What do you use for make-up on the move?